It's quite nice to go outside in your patio or backyard when the weather is nice. It's even better if you had the proper patio furniture which makes it all the more conducive to lounge outside on a slow Sunday afternoon and just let the time pass slowly. If you already have patio chairs or any other seating for the outside, then check out the Woven Accent Table from Costco. It acts as a side table, end table, or even a coffee table for your outside furniture. It's great to place drinks, plates of food, tablets, or laptops on while you're chilling outside. 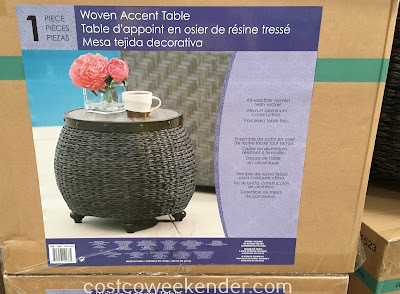 It's a great table to have to complete your patio set and because it's designed for being outdoors, it can withstand the elements of outside. If you want to spend more time outside in your backyard this summer, then the Woven Accent Table will give you all the more reason to step outside of the house. label says, for outdoor use only. does this mean there is some component in the table that keeps it from being used indoors? 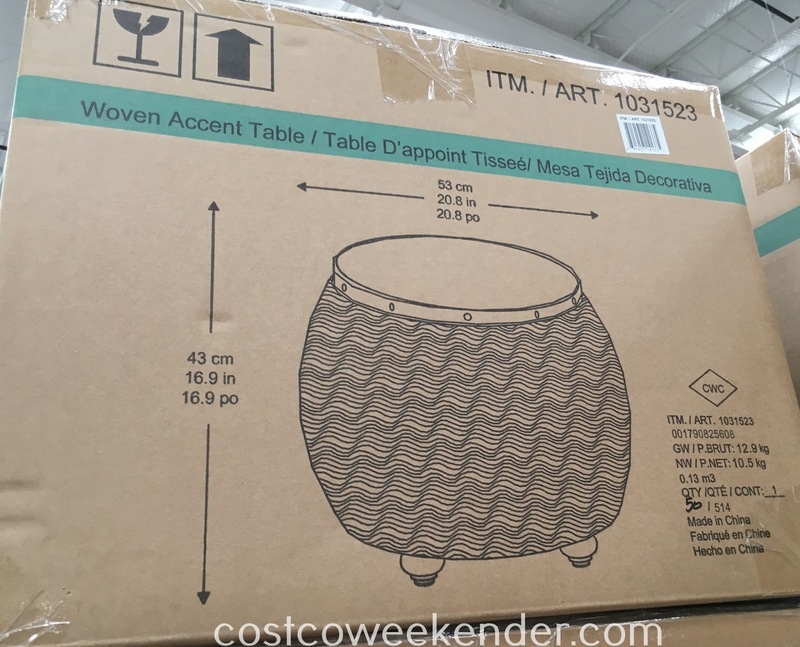 Hello @Anonymous, someone actually asked this same exact question in another thread in regards to Timber Ridge chairs at Costco. We learned that when it says for outdoor use only, a lot of times it has to do with the fact that the material used does not meet the fire related specifications for indoor use. 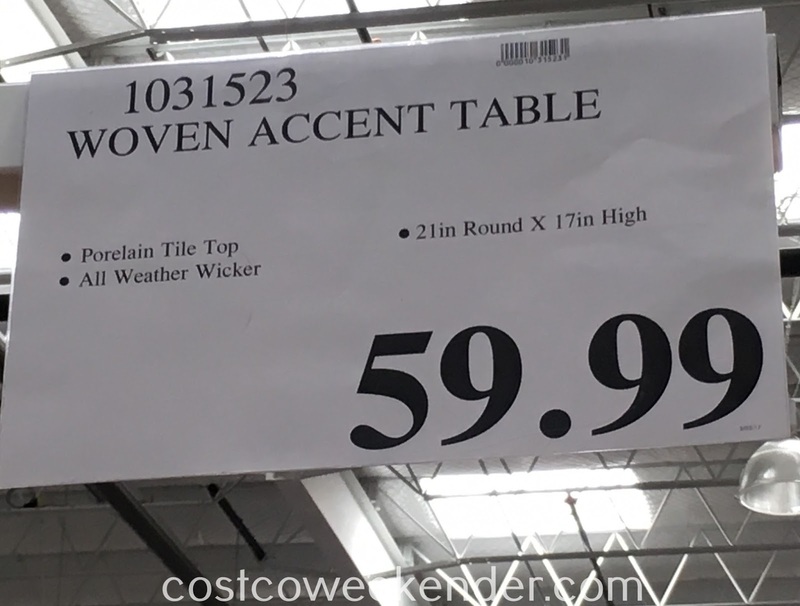 Now this may or may not be the case with the Woven Accent Table, but I'm guessing it might be something along those lines. I hope this helps.